A big huge resounding YES. This package actually arrived while I was in Vancouver and while I was/am planning on a post about the trip, I was so excited to play with these that they superseded all of the posts I had planned in my head. 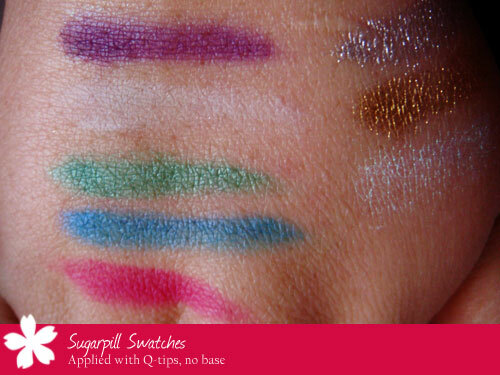 These colours are hugely pigmented, easy to blend, and completely eye-popping. This is not a make-up line for the faint-hearted, but if you love colour (and you know I do) than I think you will come to love this line! The pigmentation on these is ridiculous!! In a good way. 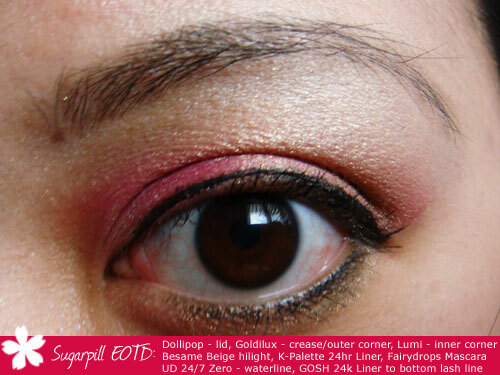 While I thought the shadows swatched nicely I was a bit skeptical at how they would perform on the eye, but for me it took a small tap with my MAC217 brush to pick up enough of Dollipop (the pink) to cover an entire eye. Though I do not work with mattes often, I find this easy to blend and true to the colour in the pan. 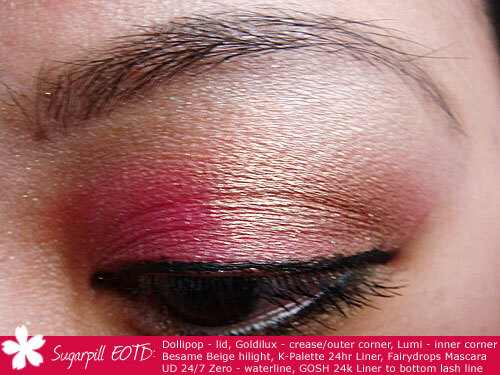 I did use my normal base of UDPP+Paint Pot for my EOTD, but the colour didn’t change at all. The only shadow I found less pigmented is Tako, which is the white shade, but as these were done with a Q-Tip, I think it would perform better when using a brush or sponge applicator – I just haven’t used it yet! 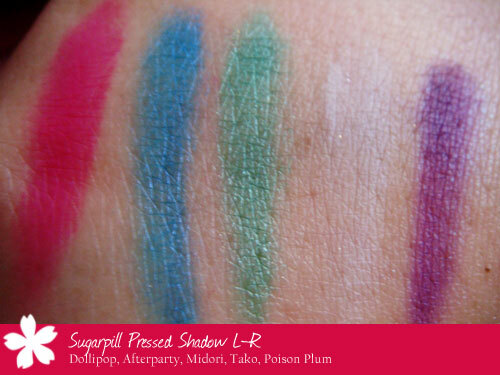 Dollipop and Tako are both matte shades, and Afterparty, Midori, and Poison Plum have more of a satin/pearl finish. I think Midori may be the HG green I’ve been looking for as I have NOTHING like this in my stash… well not until this shadow in any case. 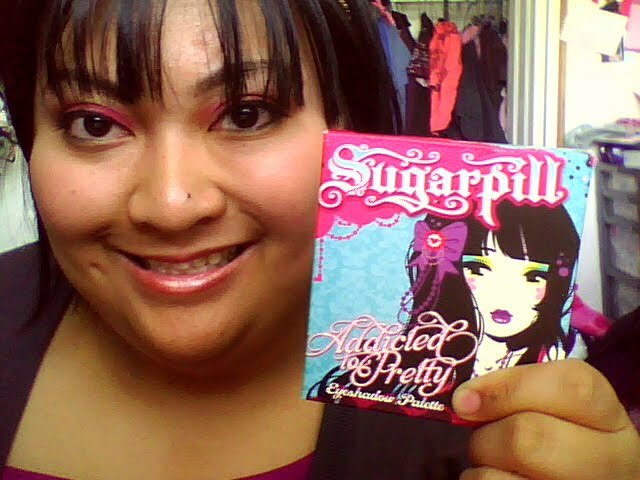 The first four shadows come in the Sweetheart Quad, and Poison Plum was purchased as a single. I love these shadows!! This is the only look I’ve done so far, but I am definitely going to keep playing with these on my days off… they are a bit dramatic for work! YOU GOT YOUR PILLS!!!!!!! No one else i kno could rock these shades just you justine and they look mighty fine! GOSH, everything looks so gorgeous! 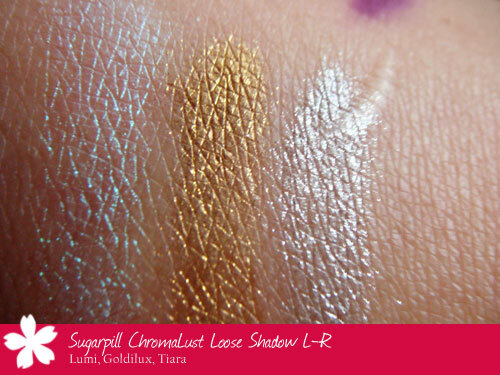 I am def going to order goldilux! So pretty…. Like all of these shades… Omg….And you pull them off so good! More EOTDs please!